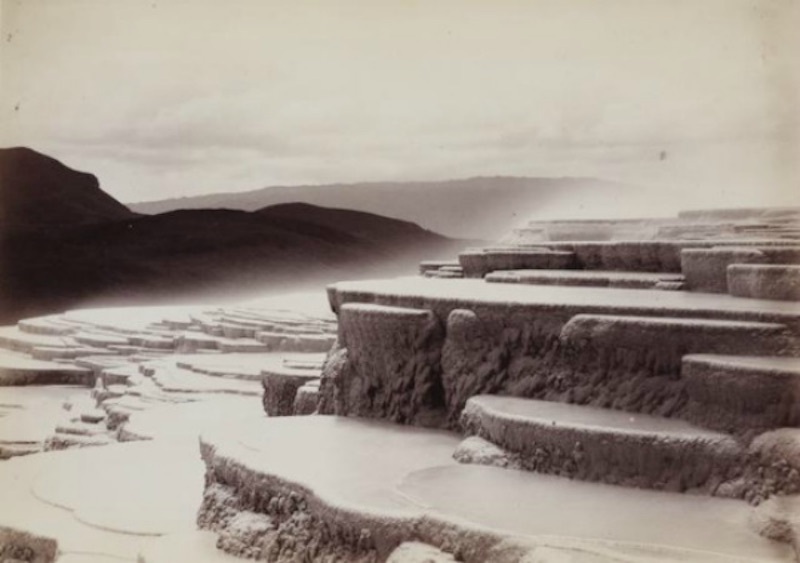 “This is New Zealand’s Titanic,” said one scientist who dedicated several years of his career to searching for the 8th Wonder of the World – thought to be lost forever – destroyed by a massive volcanic eruption in 1886 that devastated the natural landscape. 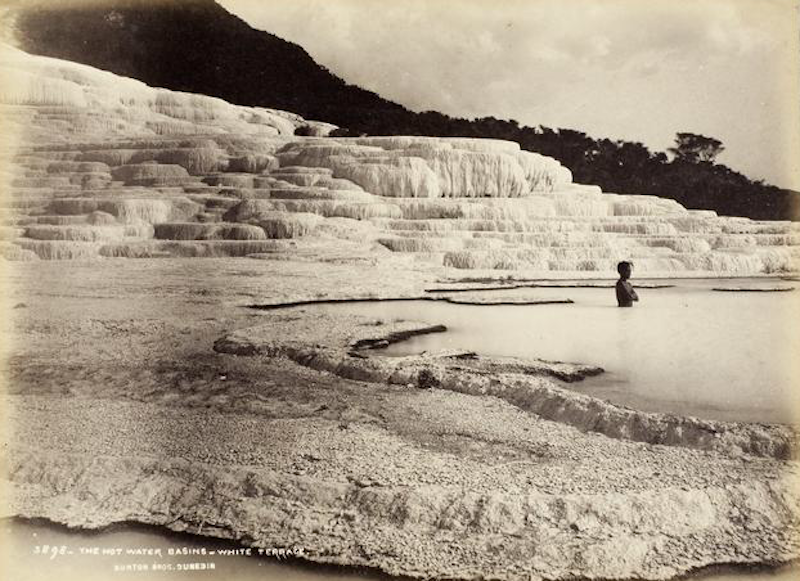 Known to the Māori people as “the Fountain of the Clouded Sky” and “the tattooed rock” – together, the iconic pink and white terraces were revered as one of earth’s most breathtaking natural wonders; cascading pink and white pools filled with turquoise waters, formed over hundreds of years in an untouched paradise. 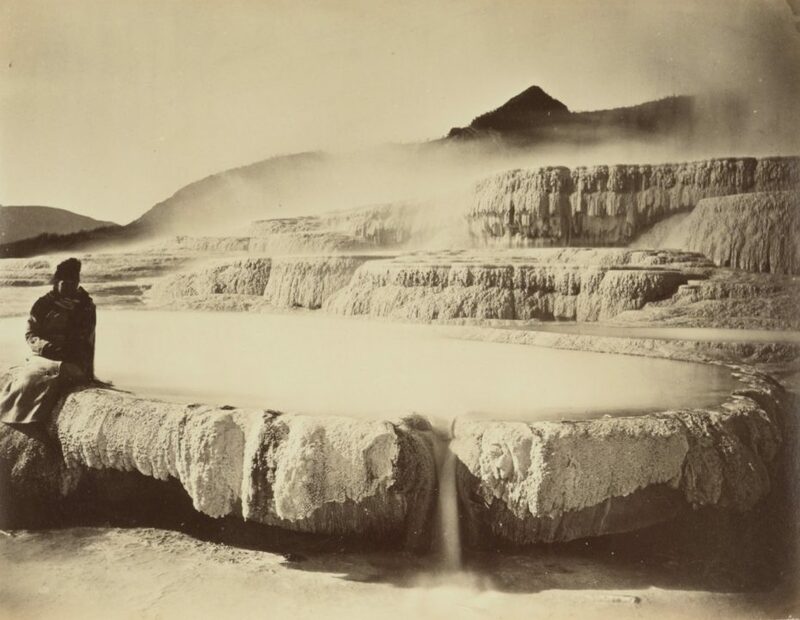 Reportedly the largest silica sinter deposits on earth, the geothermal springs of chloride water became New Zealand’s first ever tourist attraction in the early days of 19th century European tourism. 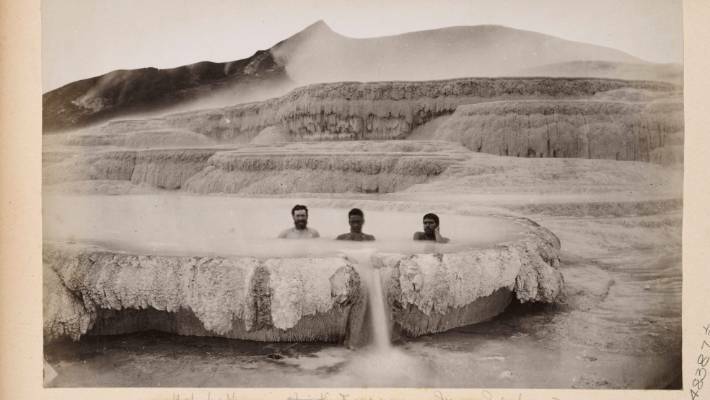 Adventurous travellers sailed for several months and trekked across the volcanic valley to reach the site. 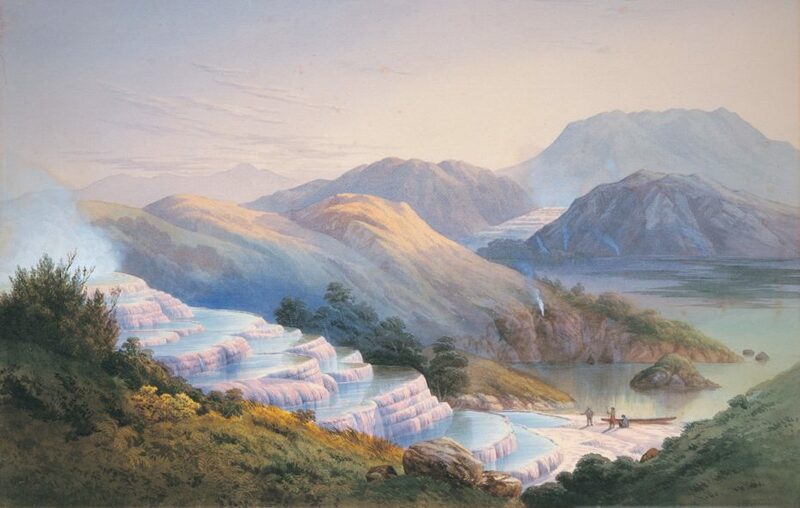 A settlement of local Maori accommodated the European visitors, becoming the first tour guides of New Zealand, which had been just been declared an independent nation in 1840. 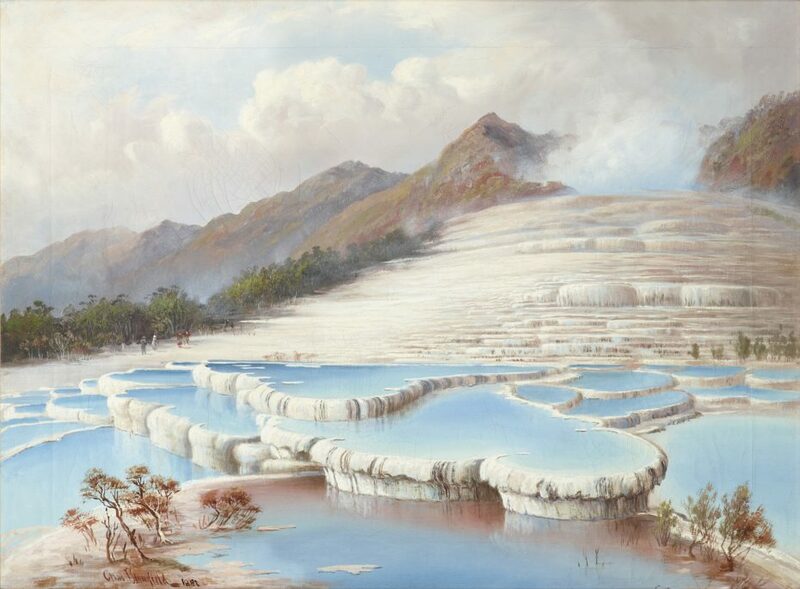 Colour photography hadn’t yet been invented to capture the true magic of the pink and white terraces, but some artists did have the chance to paint them. 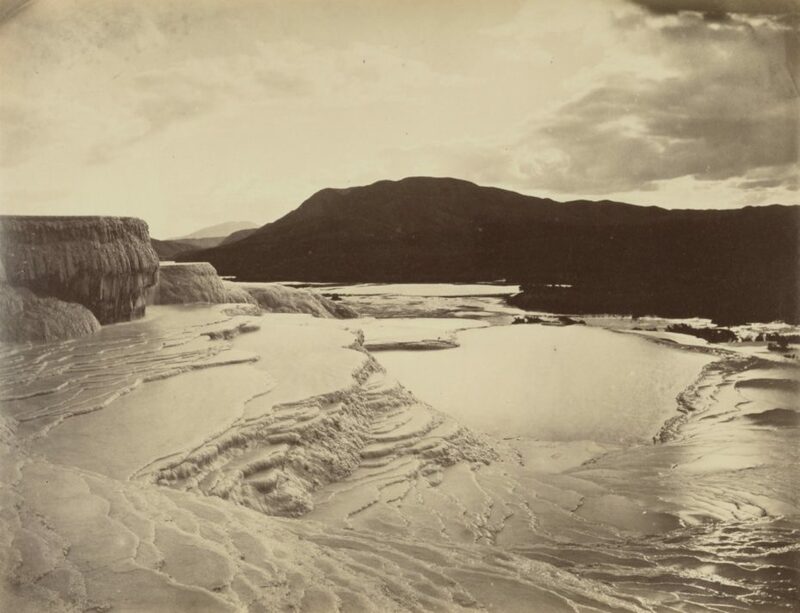 Early-bird travellers and photographers took black & white images, but the site wasn’t even fully geographically mapped out when disaster struck. 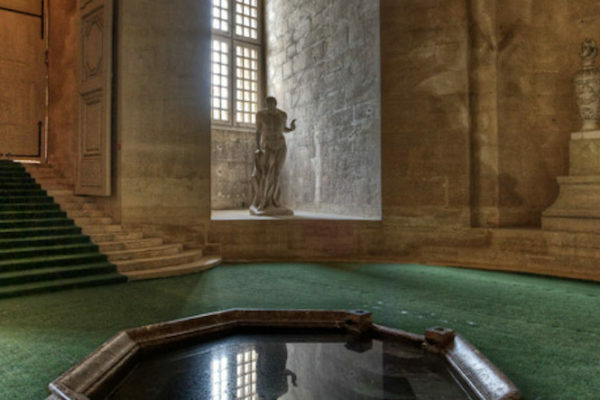 No one was prepared for the events that transpired on the night of June 10th, 1886. 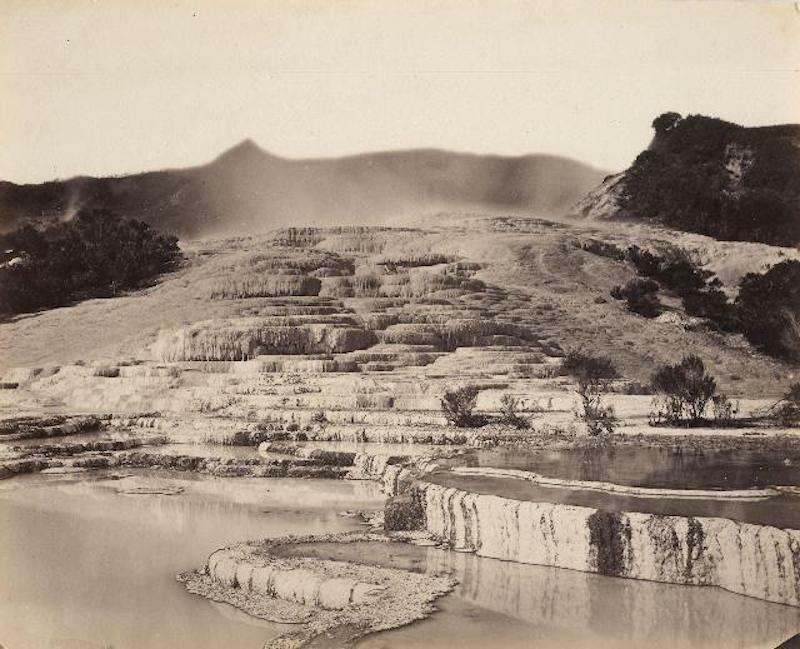 Only the terraces’ principal tour guide, native Sophia Hinerangi, observed disturbances to Lake Tarawera’s water levels in the days preceding the eruption of Mount Tarawera. 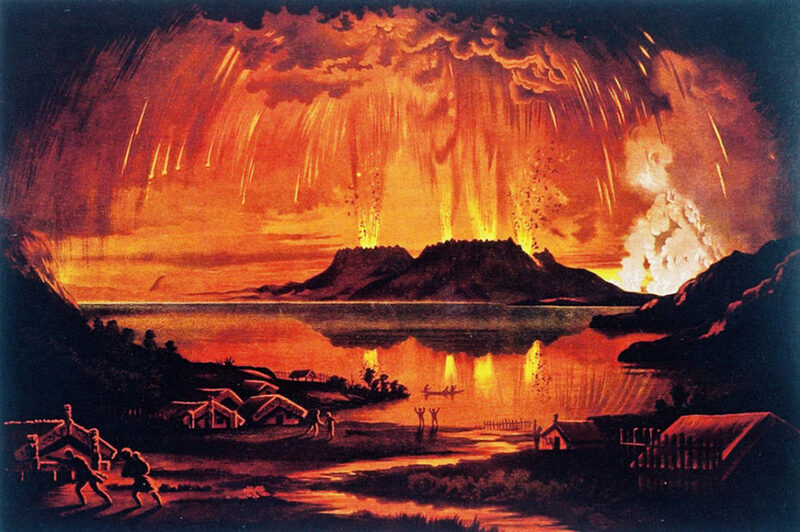 At 2 am, the volcano began violently blasting out hot mud and fiery boulders. 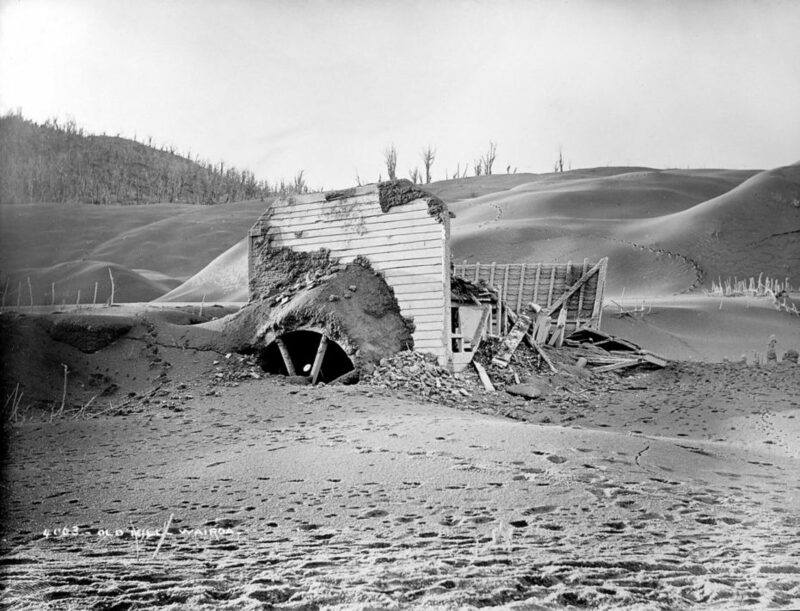 Immense clouds of black ash spread as far as the eye could see, covering what was soon to be an obliterated valley. 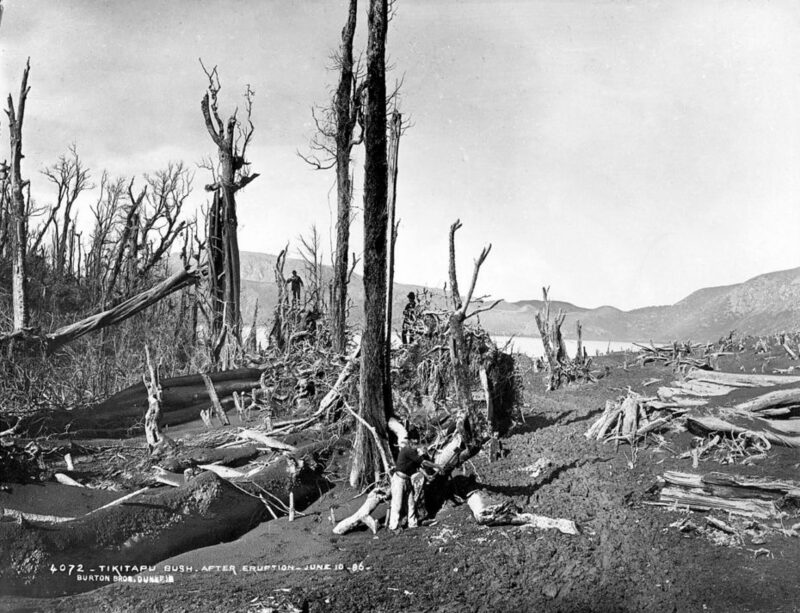 The nearby village of Te Wairoa and other settlements were buried beneath the debris. 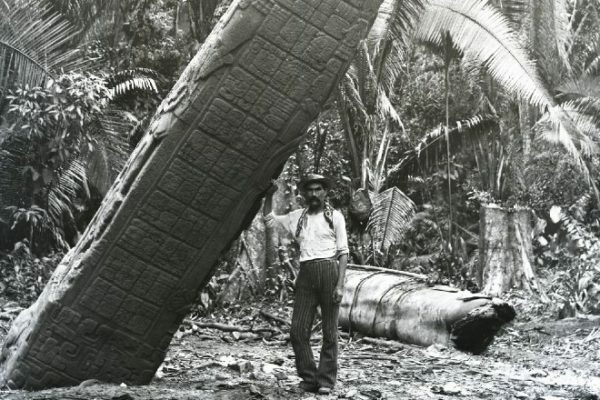 One hundred and fifty people were killed. 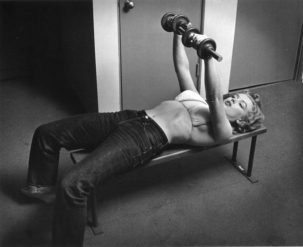 As for the 8th wonder of the world? A crater 300 foot deep crater swallowed the terraces up overnight. 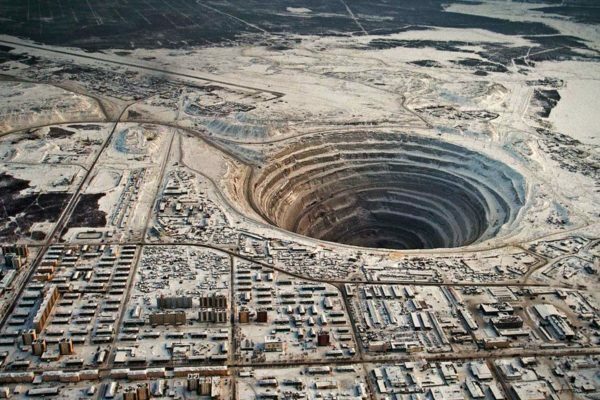 In the apocalyptic catastrophe, it was unfathomable that the site had survived in one piece, buried beneath the earth’s surface. 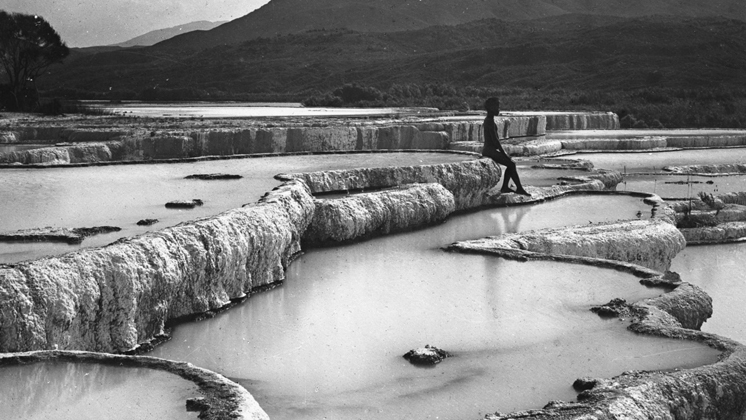 In the years following the eruption, the crater filled with water that formed a new lake in the valley, ten times larger and deeper than the previous one. 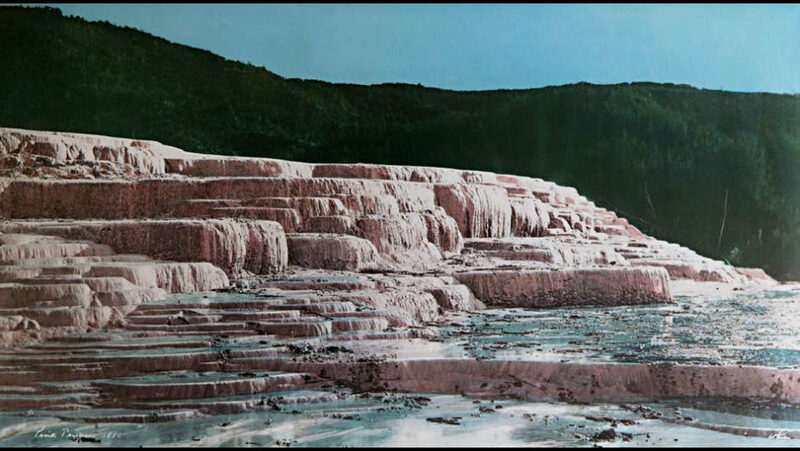 In 2011, some 125 years after the eruption, a group of scientists led by Cornel de Ronde began an expedition to find the Pink and White terraces – because that was the problem – nobody actually knew where they were! The terraces had never been properly surveyed by the government of the time, so there was no record of their exact latitude or longitude. 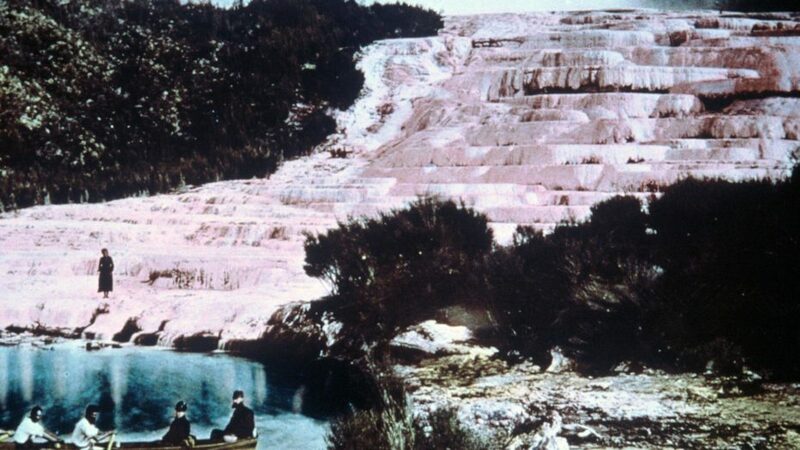 The GNS Crown Research Institute set out on Lake Rotomahana to find vestiges of the pre-1886 landscape by mapping the lake floor using new high resolution technology. 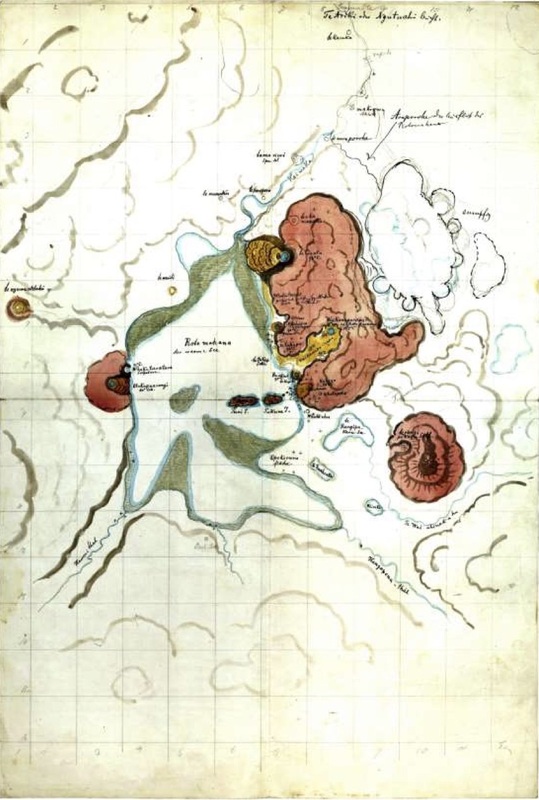 The team then married that data of the lake floor with the field surveys from antique atlases that mapped the historical shore lines prior to the eruption. 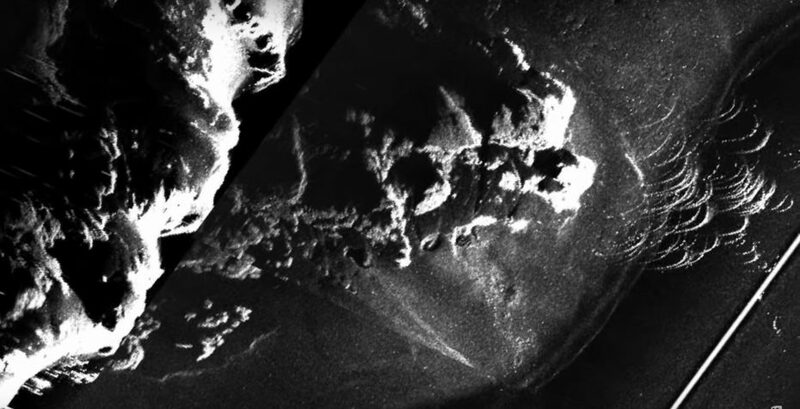 Having narrowed down a suspected location, the scientists then used side scan sonar, which revealed new images that revealed what looked like overlapping steps, terraces and round pools. 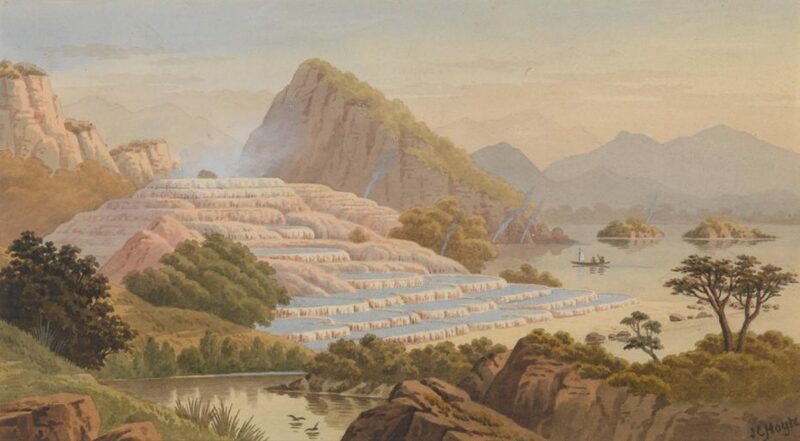 At the same time as the GNS scientists were mapping the lake bed in New Zealand, a research librarian in Switzerland had discovered the long-lost journals of the only person to ever survey that part of New Zealand’s volcanic region before the loss of the terraces. 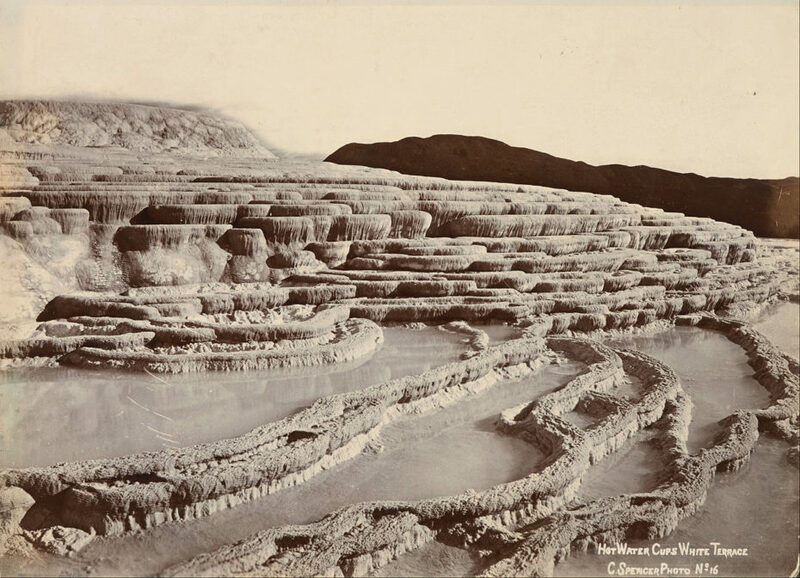 Nineteenth century Austrian geologist and explorer, Ferdinand von Hochstetter, had travelled to the area in 1859 and left a detailed map in his manuscripts, which lo and behold, revealed the location of the illusive pink and white terraces. 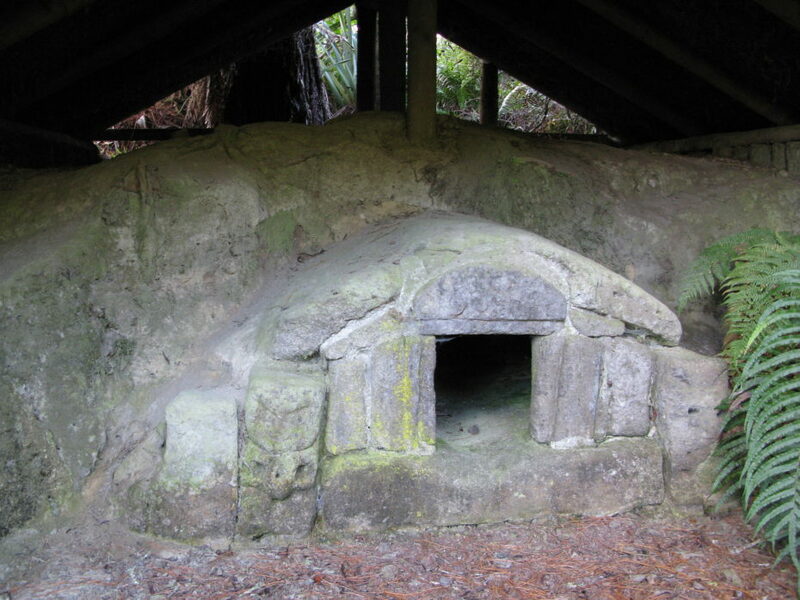 Researchers Rex Bunn and Sascha Nolden will need the blessing of the Maori tribes first if they have any hope of leading an archeological excavation of the site. 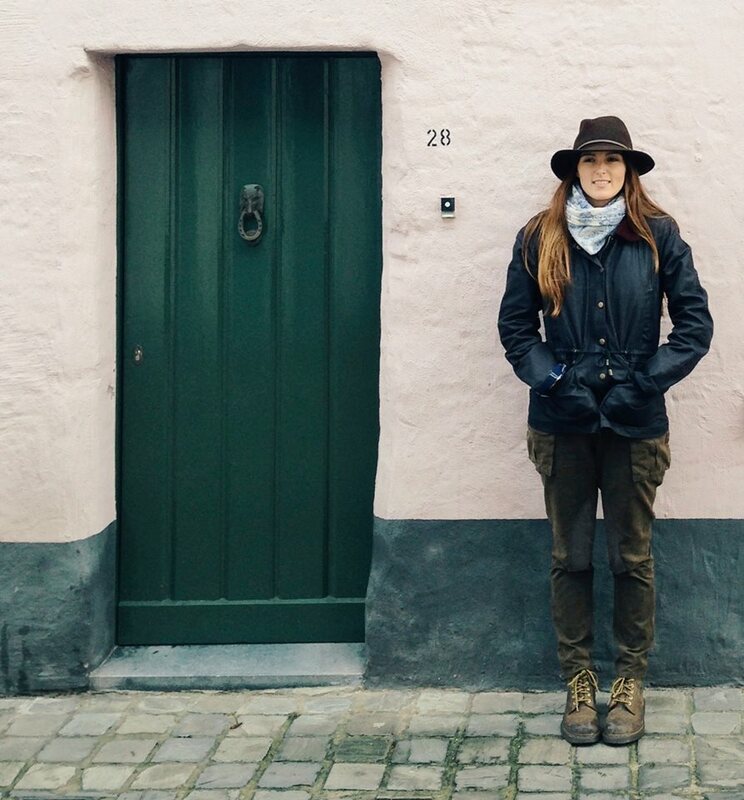 The Maori people own the land believed to be the sight of the buried wonder and an archaeological survey would need over $50,000 in funding – of course, that’s if they’re actually there.